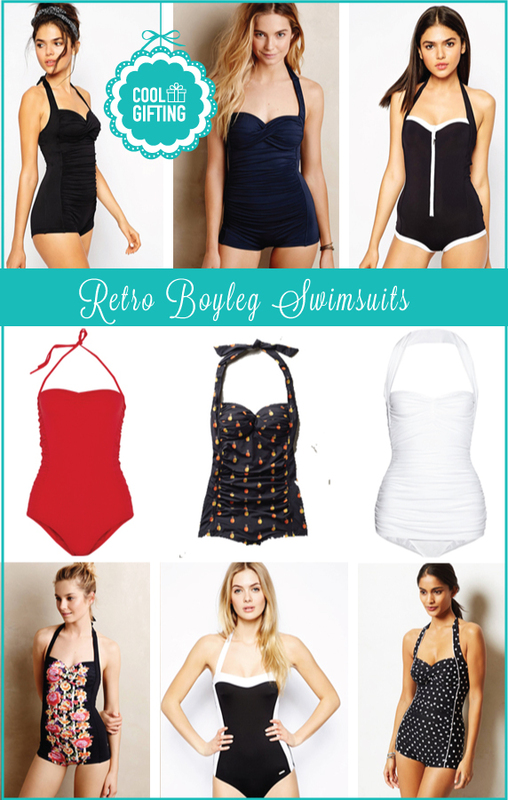 Boyleg and block halter neck swimsuits are all over the place. This vintage inspired swimsuit look is trending big time. Here are a few I fell in love with. 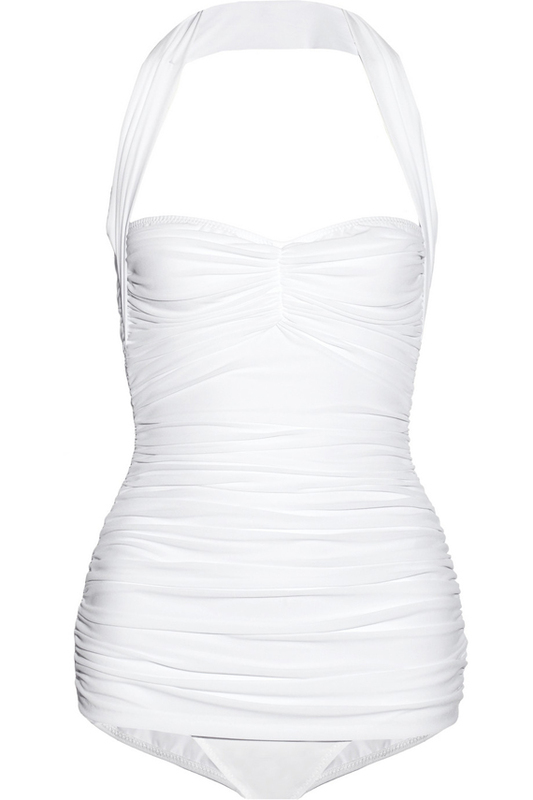 I especially like the ones by Seafolly and the ruched fabric look. Swimsuit By Seafolly made from stretch swim fabric with halterneck design to lift and enhance the cleavage, and sweetheart neckline. 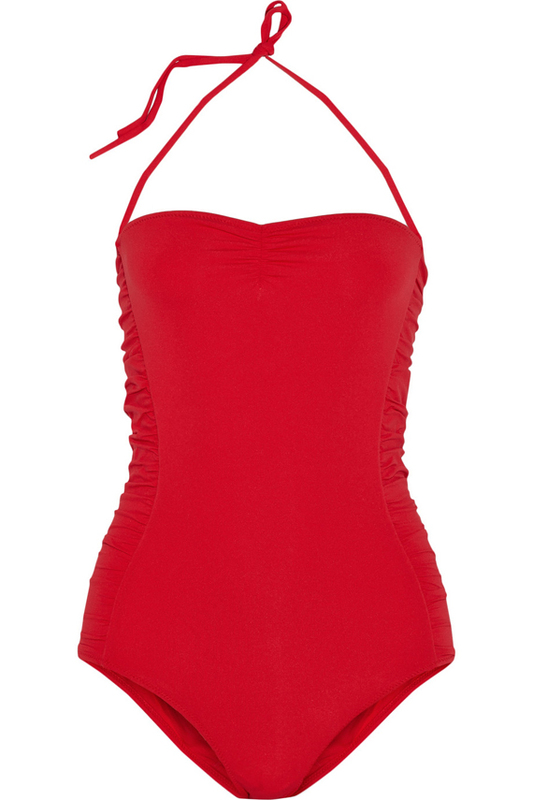 Swimsuit By Seafolly made from stretch swim fabric with sweetheart neckline, halterneck styling, zip front detail, self tie fastenings, and contrast trim. Norma Kamali’s ‘Bill Mio’ swimsuit is inspired by vintage silhouettes. This one-piece has figure-flattering ruching and stays comfortably in place thanks to the halterneck strap. We like the extra coverage across the hips, too. 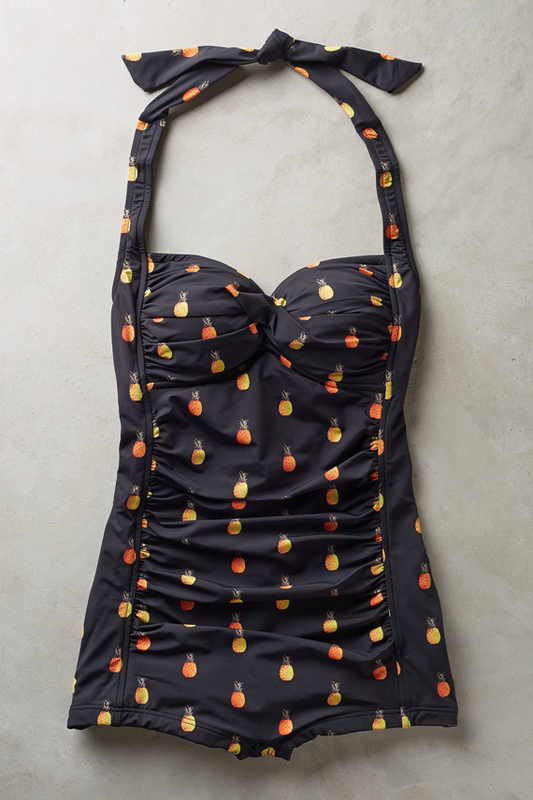 Swimsuit By Seafolly made from stretch swim fabric with halterneck design to lift and enhance the cleavage, pineapple print, and sweetheart neckline. Swimsuit By Seafolly made from stretch swim fabric with halterneck design to lift and enhance the cleavage, floral print, and sweetheart neckline. Melissa Odabash’s ‘Sydney’ swimsuit is designed to flatter. Made from a comfortable stretch fabric, this bandeau style has a sweetheart neckline and ruched sides that enhance your natural curves. Attach the optional halterneck strap for additional support. Swimsuit By Sunseeker made from a stretch swim fabric with bandeau style with a halterneck strap, and color block design. Swimsuit By Seafolly made from stretch swim fabric with halterneck design to lift and enhance the cleavage, with dotted print, and sweetheart neckline.